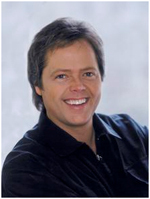 Jimmy Osmond, whose single Long Haired Lover from Liverpool topped the singles charts at Christmas 1972 comes to Kent as part of the Osmonds' final tour of the UK. Liverpool or Tunbridge Wells? Liverpool, it still has to be, all these years later! Paper Roses, or Puppy Love? Paper Roses, every time. Vinyl records or iPod? You are kidding? iPod. David Dickinson or Sid Owen (both fellow junglees)? Sid Owen. Bay City Rollers or Gilbert O'Sullivan? Bay City Rollers. I remember them well. The Osmonds, in the shape of Jimmy, Wayne, Merrill and Jay hit the Assembly Hall Theatre, Tunbridge Wells on Saturday, March 17, 7.30pm. Tickets £29.50. Box office 01892 530613. They are at the Winter Gardens, Margate, on Tuesday, March 20 and the Orchard, Dartford, on Sunday, April 29.